How to Split a string using String.split()? Understanding the Java Split String Method. Let’s get started. 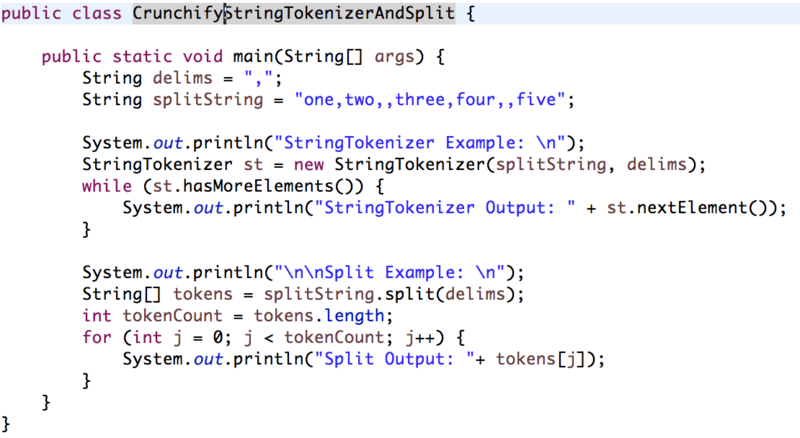 In Java, the string tokenizer class allows an application to break a string into tokens. The tokenization method is much simpler than the one used by the StreamTokenizer class. The StringTokenizermethods do not distinguish among identifiers, numbers, and quoted strings, nor do they recognize and skip comments. There’s only two newlines (UNIX and Windows) that you need to worry about.